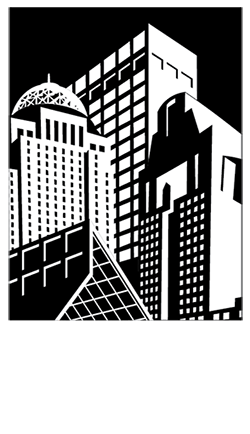 (Louisville, KY) – The Louisville Downtown Partnership (LDP) announced the recipients of the 2016 Cornerstone Awards at their annual celebration on Monday, April 18th at Passalino’s, with Valle Jones of Mayin LLC providing the keynote address. The Cornerstone Awards were given to eleven significant Downtown projects completed in 2015, which represents over $213 million invested in Downtown Louisville. In addition, the prestigious S. Russell Smith, Jr. Awards of Excellence were presented. “We are honoring eleven significant development projects that range from housing, university buildings, a hotel and distillery, and even a major renovation of one of Louisville’s most vital service providers — The Center for Women and Families,” said Rebecca Matheny, LDP’s Executive Director. “There is no doubt Downtown Louisville is experiencing an exciting period of growth in our Central Business District. It is important to take a moment to recognize these significant projects and the forward-thinking investment that has taken place in Louisville,” she added. The S. Russell Smith, Jr. Award of Excellence is named in honor of Russell Smith, Jr. who was a long-time board member and chairman of the Louisville Downtown Management District (LDMD) which, along with the Louisville Downtown Development Corporation, now comprise LDP. This year’s private-sector winner was Phil Scherer. Phil has been a trailblazer in the Downtown Louisville commercial real estate industry for more than 40 years. Scherer/Casper and Associates, a two-man shop that began in 1973, is now Cushman & Wakefield/Commercial Kentucky. The firm recently merged with DTZ to become the second-largest real estate company in the world. Phil is regarded as one of the premier commercial real estate executives across the Midwest and Upper South, as well as one of Louisville’s most knowledgeable and influential brokers in Downtown commercial real estate. A lifelong advocate of Downtown Louisville, Scherer both works and lives in the Central Business District. He has served as a board member of the 8th District of the Federal Reserve’s Real Estate Council, the Louisville Central Area, the Main Street Association, Greater Louisville, Inc., Louisville Downtown Management District, and the Louisville Historic Landmarks and Preservation District. Cathy Duncan, Director of Facilities Management & Fleet Operations for Louisville Metro Government, was the recipient of the award for the public sector. According to Matheny, “Cathy’s strong history of leadership, cooperative development, positive communication and creative partnerships are reflected in almost every public/private partnership project in Downtown.” Cathy served as Director of the Parking Authority of River City (PARC) for eighteen years prior to being appointed to her current position in June of 2014. Facilities Management is responsible for maintenance, janitorial, architectural services and project management for Louisville Metro Government’s portfolio. Fleet Management oversees Louisville Metro Government’s Fleet Operations, including purchasing, servicing, and maintaining over 3,500 fleet vehicles and heavy equipment, ranging from lawn mowers to garbage packers. For more information, go to: www.louisvilledowntown.org. LDP can be contacted at 556 S. Fourth Street; Louisville, KY 40202 (502)584-6000.